Thanks to Valerie at Hachette Books, Yvonne at Socrates Book Reviews is able to host another book giveaway. 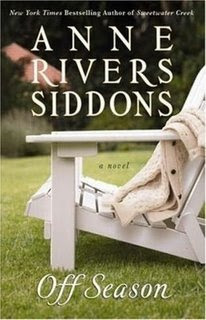 This one is for Off Season by Anne Rivers Siddons. She can give away 5 copies, so that's 5 winners! There are several ways to enter so Check it Out.